This is an episode that really makes you hate Tae Jung. He does soooo many things that I hate…all in a single episode. You wouldn’t think that would be possible, but he did. He’s a monster. Given his current attitude, I really don’t get the flashbacks where he seems like a completely different person—one with a soul and a heart. Again…what happened to change him when he was obviously so much in love with Jin Yu and didn’t mind a normal life with her? Frustrating. Okay, so we open with Sun Yu crying and pleading with Tae Jung not to do what he is doing, but he reiterates that this is all her fault for sticking her nose in where it doesn’t belong. Who is causing Jin Yu all of this pain? Certainly not him. It’s all Sun Yu’s fault for going behind Jin Yu’s back and telling him about the baby. Ouch. He’s both right and wrong all that the same time. Yes, Sun Yu really shouldn’t have done what she did, but at the same time, she really had no idea just how low her beloved oppa had fallen. So…she was wrong for going behind Jin Yu’s back, but he’s even worse. After Tae Jung leaves, Ji Suk approaches and asks what the matters is—why is his beloved nun-in0training crying? Sun Yu wipes away her tears and stands up. She refuses to tell him anything. Nothing is the matter and all that jazz. True. What can he do at this point? Plus, who would want to air such a horrifying cold story. Although Ji Suk could definitely understand. I think I forgot to mention it, but he did tell Sun Yu in the previous episode that he was afraid of dogs because his mother ordered her dog to bite him. This confused Sun Yu since the compass is so precious to him, but Ji Suk reveals how he learned about his birth mother when Aran ordered her dog to bite him. Anywo, Sun Yu goes back into the convent before Ji Suk can give her his present. In her room, she opens the document and looks it over. It is an official statement relinquishing any parental rights for Sarang. This wounds her great and all she can do is cry over how hurt her eonni will be. Jin Yu is writing in her baby book to her daughter, talking about how she can’t wait to meet her daughter soon and wondering just which parent she will take after. This makes her pause as she recalls Tae Jung. She then gets sharp stabbing pains her her stomach. She goes to the hospital where the doctor reveals that the acid levels have increased and there are signs now of Preeclampsia (severe and rapid rises in blood pressure that can cause harm to both mother and child). The doctor then delivers a crushing blow to Jin Yu—even if she makes it to full term and successfully delivers her daughter, she has a high risk of losing her life. After leaving the hospital, Jin Yu comes across a baby store and sees the tiny little shoes. She then recalls a different time when Tae Jung was excitedly looking at the items and talking about their own children. He wanted a baby girl just like Jin Yu who wanted a son just like Tae Jung. At that time, he was very much in love with Jin Yu and planning his life with her. He would become the best father in the world since growing up without a father was devastating scar on his life. And now look what’s become of him. I pity and offspring he has and raises. So what does JIn Yu do? In a moment of weakness she goes to Tae Jung’s apartment. The man is livid. What the hell does she think she’s doing there? She tells him about the risk to her life and asks of him to take care of Sarang if anything should happen to her. He throws back in her face that she insisted the baby was hers and not his. Jin Yu cannot believe all of this. He then tells her how he gave the paper to Sun Yu singing away his rights. This cuts Jin Yu to the quick. How could he do something so cruel to her precious baby sister? Wake up and smell the brimstone—he’s gone completely over to the dark side. I think its really disgusting how she cries and apologizes for only thinking of herself instead of him. Sure, she made this decision on her own and all that jazz…but really…it takes two to make a baby and he has no right to behave as he is. Anywho, guess who is coming over for dinner as an apology? That’s right Ji Hee. I think Tae Jung stashes Jin Yu in the bathroom and warns her against coming out. Ji Hee arrives and starts to get ready to cook. Jin Yu doesn’t want to ruin Tae Jung’s life…but at the same time…she wants to save her baby. She goes to show herself, but Tae Jung pulls Ji Hee into a fierce kiss (all the while looking at his ex…gag me). He tells Ji Hee that he can’t live without her and then gets her out of the apartment for a nice dinner out. As if he hasn’t hurt Jin Yu enough. The heartless, cold, disgusting…bad word are not enough. Grrr. Ji Hee returns home after dinner and meets her oppa. She is shocked that Ji Suk has finally returned, but she does seem genuinely happy. I don’t think she really carries her mother’s animosity towards Ji Suk. She scolds him for not returning home sooner and then begs him to be on her side. Ji Suk is surprised to hear that his perfect little sister has caused a ruckus—especially with a guy that neither of the Seo wives like. The two enter and Jung Soon, Hyun Woo, and Aran are sitting down to dinner. Obviously, Aran is not happy that he has returned at all. I really thought the reunion between Ji Suk and his uncle was sooo cute. Ji Suk goes upstairs to clean up for dinner when Hyun Woo reveals he overheard Aran talking about how she will kick Ji Suk out of the Seo house once and for all. He then remembers this is a secret since it will only hurt his mother. Whoops. Jung Soon says nothing more than Aran had just said that this is Ji Suk’s home, so she had better make the young man welcome. We all know Aran won’t be doing that at all. Hyun Woo goes upstairs where Ji Suk is lovingly putting away the shoes Sun Yu bought him. Hyun Woo really wants those shoes. Can’t Ji Suk give them to him since he already has so many? Ji Suk apologizes, but says he can’t do such a thing since they were a present. 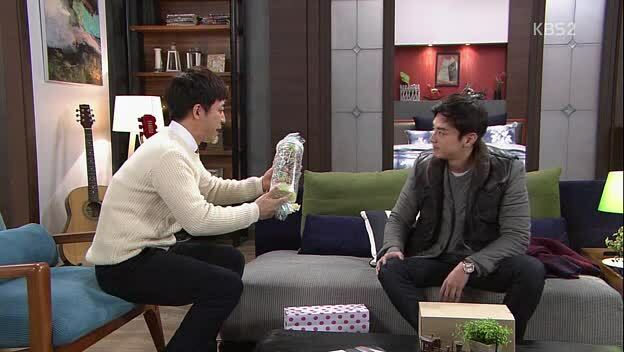 Woo Hyun then recalls a gift is the heart of the giver, so it would be rude of Ji Suk to give the gift away. Ji Suk then hands over a big bag of candy. It makes Woo Hyun happy, but you can see the cogs working and I’m not sure he’s 100% satisfied with all the candy vs. the shoes, lol. Sun Yu stares morosely at the picture of her and her sister. Jin Yu returns home and recalls Tae Jung’s cruelty. She rubs her stomach and apologizes to Sarang. She vows that no matter what she will live and raise her daughter well all by herself. She then gets a call from Sun Yu. Jin Yu apologizes as she knows her sister had a hard day. Sun Yu is surprised that Jin Yu has met with Tae Jung once more. Sun Yu breaks down and cries and apologizes for telling him and Jin Yu cries as well and says it isn’t her fault at all. After the two hang up, Jin Yu bawls and promises it will be the last time she cries. Poong Ho is protesting in front of Dal Nyeo’s place when Dal Nyeo finally caves and goes outside. She does promise to meet with Jin Yu, but does not promise anything as Tae Jung is insistent it’s all over and he won’t have anything to do with the baby. She calls up Jin Yu who agrees to meet her at a place nearby the Jang house as she has something she wishes to give Dal Nyeo. What is it? A pretty ring. Meanwhile, Jung Soon’s assistant tells her about Ji Hee’s and Tae Jung’s victory with the failed deal. This does not make Jung Soon happy. She knew that Tae Jung was capable and as much as that is a good thing in work…it’s a bad thing when it comes to her granddaughter and grandson—especially Ji Suk whom she wishes to inherit the company. At the same time, Tae Jung’s old friend is begging for his help in securing a contract otherwise his business will fail. 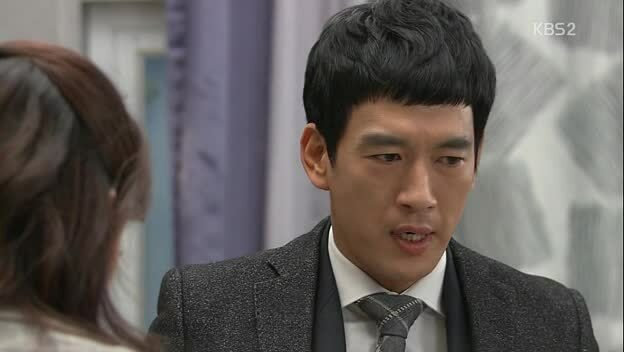 When Tae Jung refuses, them an brings up Tae Jung’s “wife” from college and Aran’s and Jung Soon’s snooping. This gets Tae Jung to change his tune fast. In a Mary Higgins Clark novel, there was a serial killer who killed lonely women on cruise ships. He had always been so careful, but slowly and surely evidence starting building and the more he tried to gather the “feathers” the more they were scattered by the wind. Tae Jung’s past with Jin Yu is just like that…feathers in the wind. Ji Suk arrives at the company, but of course he misses really seeing Tae Jung. His grandmother tells him to start coming to work. Ji Suk doesn’t like this. He doesn’t want to go to the company and wishes to find his own way. Jung Soon is having none of that. His reputation is already hurt in front of the shareholders and Tae Jung and Ji Hee’s teaming up doesn’t bode well for him either. Jang Tae Jung? Who is that? His grandmother cannot believe just how ignorant he is. So Ji Suk loses this argument. To find out about his mother he most not only return home, but start working for L Foods as well. Ji Suk leaves the office and complains that he knew his grandmother would pull something like that. Out walks Aran and she is not happy to see him there. She asks when he will return to America. Ji Suk replies that he will not be returning as he is home to stay. Aran wonders just how long he will last. Yeah, we all know how anxious she is to get rid of the stain of his existence. Aran calls Ji Hee to come into her office immediately since Ji Suk is returning to the company, but Ji Hee refuses as she’s on her way to meet mother-in-law to officially apologize. 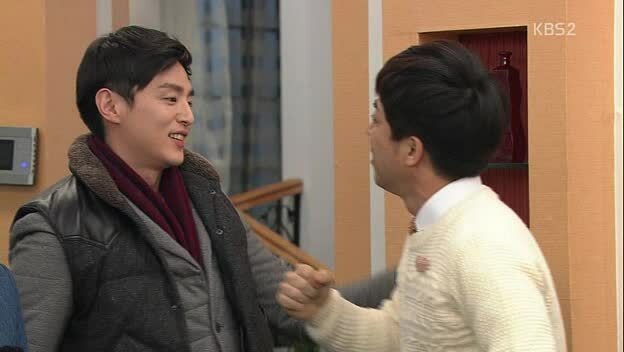 Dal Nyeo meets with Jin Yu. She is horrified to see just how pregnant Jin Yu is. Dal Nyeo tries to harden herself, but she just can’t. How could Jin Yu end up like her? Dal Nyeo also brings up about how Tae Jung won’t move and how her having a child and raising it without a father is a scar for him. Jin Yu knows this and is sorry. She is determined she will raise the baby well by herself. She then gives Dal Nyeo the ring back. It was the first (and only) thing she ever bought Jin Yu and she scrimped and saved for it. Jin Yu leaves and Dal Nyeo tears up. She rushes after the girl and tells her to take care of herself and live well. It’s at this time that Ji Hee arrives and calls out to her, shocking both Jin Yu and Dal Nyeo. End episode. Aran and Tae Jung are a match made in hell. Just wait until they team up to destroy Ji Suk. That’s okay, though, because we know our nun with a vengeance will be on his side helping him…I hope.